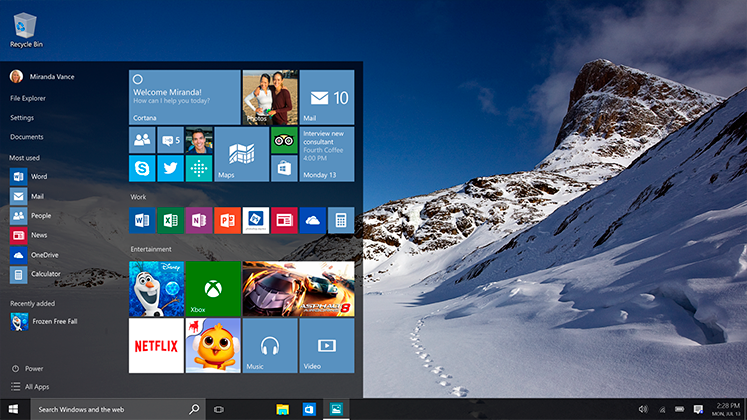 So, the highly anticipated Windows 10 upgrade is now available. It’s the end of the road for the much dreaded internet explorer browser (from a developers perspective) and in with the new Edge browser. Since I personally am running off Windows 8 , I was eligible for the free upgrade to ’10’. Now instead of jumping in there and putting this upgrade into action straight away, I done a little digging to see if it is worthwhile switching over so early. The famous start menu is back! At the moment, my reason for holding off for maybe a few more weeks is that there may be still some niggly bugs, this is my only con at the moment. It definitely seems like they have improved in a few areas design wise, though i’m pretty certain this version has rolled out with a few repairs required.